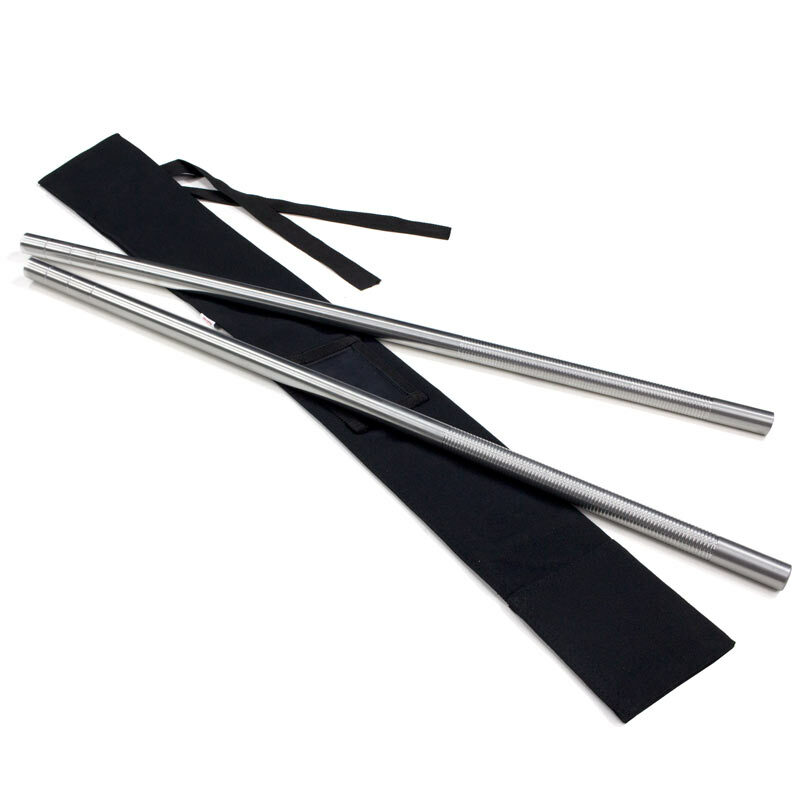 Sure, most escrima sticks are nice, but do you ever want thinner escrima sticks that withstand the kinds of blows you might deal in the duration of kali practice or arnis training? 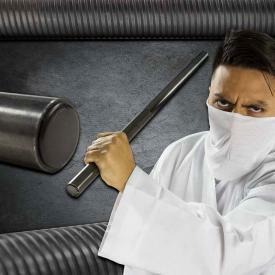 That's where our exclusive Aluminum Alloy Escrima Set comes in. This pair of solid metal escrima sticks has a diameter that's barely three quarters of an inch. We've machined a spiral handle on these metal kali sticks for an unshakable grip, even when your lightning fast moves make your hands dripping with sweat. 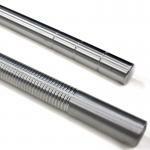 The solid aluminum escrimas are 26" long and weigh just a little over a pound apiece. This means that the metal arnis bastons are heavy enough to make them perfect for training, but not so heavy that your arms would fall off (we made sure of that). 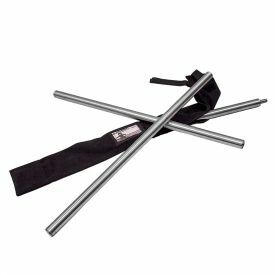 You will find that this pair of metal escrimas and the canvas escrima case that comes with them will be perfect for your kali training regimen. 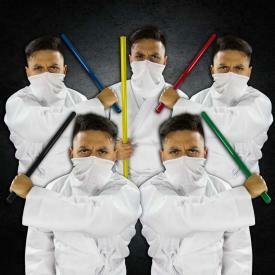 In no time at all, you'll be moving faster and hitting harder, all with a set of powerful escrimas that can break things without breaking themselves.